Continental have over 100 years of experience in developing and producing bicycle tyres. Suitable for all makes of tyre, this ultra lightweight Inner Tube is available in both short and long Presta valves. It features seamless construction for a smooth feel and excellent handling. - A.D.
General purchase experience was good and up to modern standard. But product was a disaster. 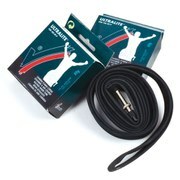 I bought 2 Continental supersonic inner tubes. These supersonic tubes I was using only on my home bike roller. One was lasting one training session and second one was lasting two training session. One developed small hole and second just loosing pressure within 2-3 hours. Surprized, is it really a continental products? Waiting to have my money back to my account or equivalent product replacement (not a supersonic tubes). 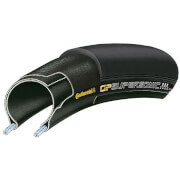 Bought 3 of these Continental tubes to go with new Continental tires, was very careful with installation and simply installing first one, had a pinch flat on first inflate. Re-checked instructions on the new tires, said don't use supersonic tubes with Force II clinchers, went back to Michelin tubes for the clinchers. Be nice if more information was available on the order spec sheet indicated not to use with their own tire brands. Only just received and 3 x 30+ mile rides in.........no problem. Lightweight. Hoepfully it's one of those items that remain important but largely unnoticed! Expensive but worth it as weight on the outside of a wheel matters. Weight in the center (Hub) is less critical. Need to be careful when fitting as the tubes are very thin , making them easy to pinch or twist . Bonus is these tubes take up little space in seat pack although i only carry standard spare tubes . Tubes also have removable core on valve so one can use valve extenders. I have patched one of these too and worked well .They are no more or no less puncture resistant than a standard tube. Basically the only tube i would now use. 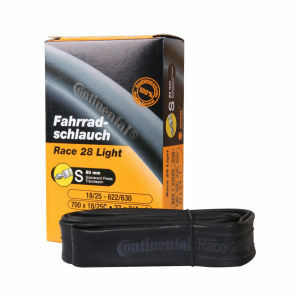 Continental Race Supersonic Road Inner Tube - 700 x 18-25mm are great lightweight tubes. I'm unsure whether you really notice the difference, but psychologically, it gives me that edge on gradients knowing that the only thing slowing me down is my legs! I would advise, though, avoiding trying to inflate these from flat with a CO2 canister - I managed to burst one in just a second! This is probably sound advice for any inner tube though. If I have the cash spare, I will continue to buy these. Be gentle when installing these, make sure its properly inside the tire before pumping it up. 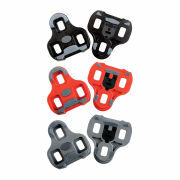 Weighs 50 gram in the short valve version, which is great, especially considered the price. Have had a few flats on them but cannot complain. I use these tubes with Conti GP4000s tires and have not had a flat yet. I find the road feel is better than with heavier, thicker butyl tubes. Yes, you must be a little more careful when mounting the tire but worth it!